Having previously served students in grades TK-8, Back Creek Christian began a high school program by adding a 9th grade class in August 2014. 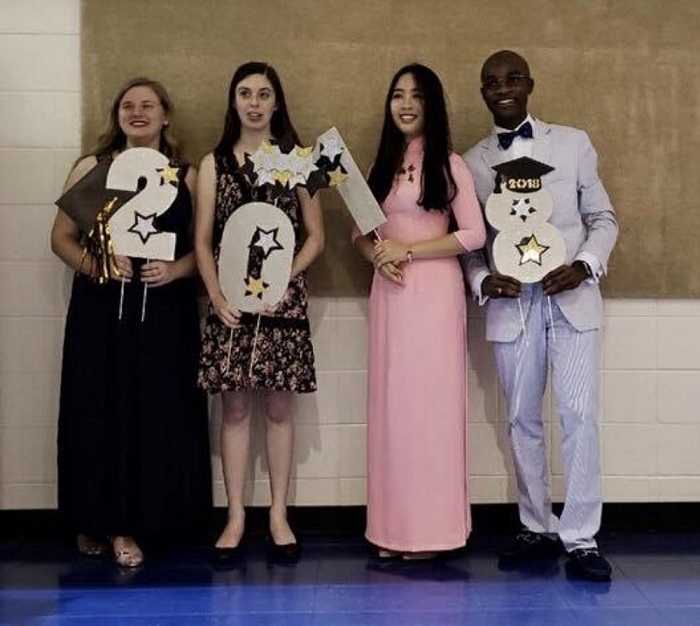 In May 2018, we celebrated our first graduating class. The purpose of the high school program at BCCA is to offer a complete classical education for students beyond the eighth grade. Through individualized academic focus, service opportunities, and dedicated college counseling, students will be prepared to engage their culture as intelligent followers of Christ. Many of our classes are conversation-based and use integrated curricula that encourage holistic learning and critical analysis. Our goal is to help students critique, develop, and articulate well-reasoned ideas. 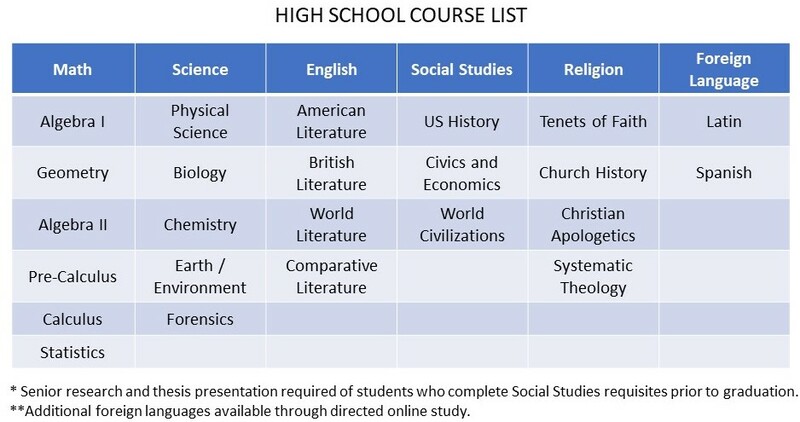 Another unique aspect of BCCA high school are short-term classes that allow students opportunities to explore additional academic interests. 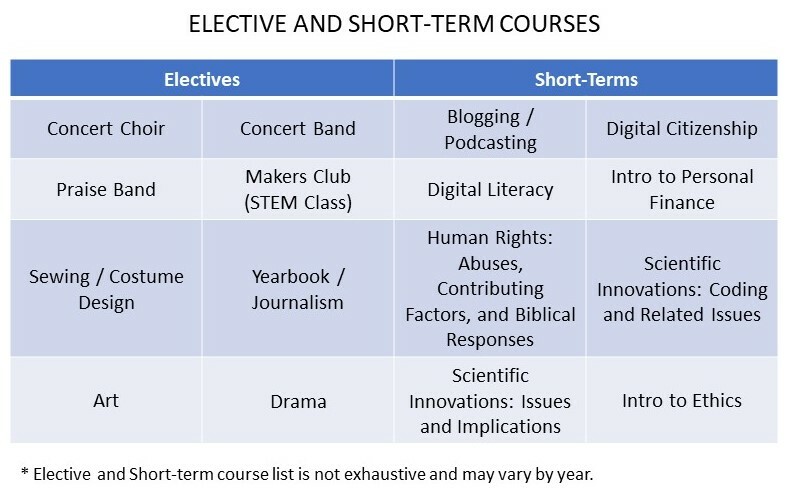 While some short-terms focus on essential skills such as computer literacy and financial planning, others involve collaboration across disciplines as students study topics such as scientific innovations and global human rights concerns.